Today's So Shoe Me is the Lacey in Pink Patent by To Be Announced, $180, available at Solestruck. 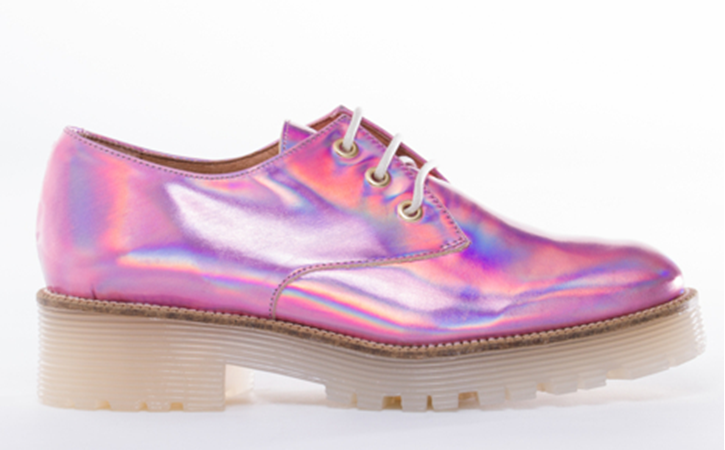 Keep it Kawaii Kool in these pretty in pink holographic oxfords by TBA. Add a daily dose of futuristic funk to your fall staples with these comfy everyday lace-ups. An eye-catching iridescent finish adds a rave ready rainbow of candy hues so you can pair these with neutrals, pastels or brights. Keep the volume up and pair these perky pink oxfords with a graphic tee and too cute printed leggings for a sugary sweet style that ready for the weekend. So Shoe Me a pair of space age high shine oxfords that will add an iridescent shimmer to my fave fall basics.